When it comes to music videos, Eminem is consistently able to provide complimentary visual representations to his complex lyrics. Thematically Em has said that he sees videos for most of the tracks he creates. 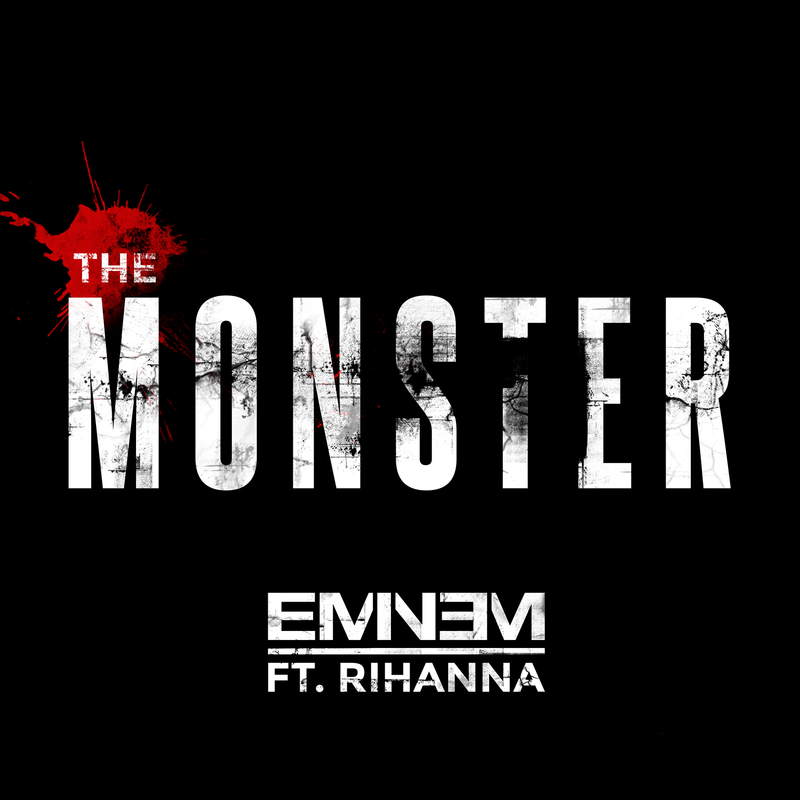 And this clearly apparent for the Rihana assisted track, The Monster. While the song has a bit more of a hip-pop radio friendly sound to it, Marshall still delivers deep lyrics depicting the many monsters in his life. The video starts off in a shrinks office where Em is being treated by Dr.Rihana. She puts him a hypnotic state and Eminem drifts into an inception type experience. Em enters an elevator that descends into his subconscious and he is able to see himself throughout his career. His first stop is the My Name Is video where he is still trapped in a straight jacket. The next stop puts Mr.Mathers is face to face with himself in the Lose Yourself video. He also sees bits of himself falling in The Way I Am video. His next stop takes Eminem to the 2006 Grammys and his iconic live performance of Stan with Sir Elton John. His final stop is the last level where he is able to exit the elevator. Em walks up to a metal box prison surrounded by armed guards. He gets close enough to see that he is actually in the box. The imprisoned Eminem throws torn pieces of paper at the real Slim Shady who picks them up, and walks away. Looking at this video like an inception story, we can break down each level until we get to the deepest parts of Marshall's mind. His first stop takes us to his intro track to his Aftermath debut that launched his superstar career. He was dealing with the duality of his fame. He wanted this for himself, but now he just wants to be left alone and be able to go out without being bothered. The next level takes us to his acting debut. 8 Mile was a huge success, both as a movie and soundtrack. This took Em to yet another level and fame. He also decides to give a nod to his track The Way I Am off of The Marshall Mathers LP. That song was a very emotional and raw track that was a result of his frustration with his fame that seemed to be headline and gossip material. His final level reminds me of Inception when Ellen Page snuck down to Leonardo DiCaprio's subconscious dream and it was revealed that Leo was trying to keep his darkest experiences locked up. When Eminem walks out of the elevator he literally sees himself locked up. The locked up Em is very angry and animated and clearly wants to escape. Eminem has said throughout his career that he has multiple personas. Marshall the person/father, Eminem the emcee and Slim Shady the monster. When he is accused of being homophobic or misogynistic he blames his alter ego. And now it seems that he is trying to trap that persona. Overall this is another strong music video that in my opinion makes the song that much better. We can't always fully see Em's artistic vision, but when he takes our hand and shows us the way the outcome is always better than not.